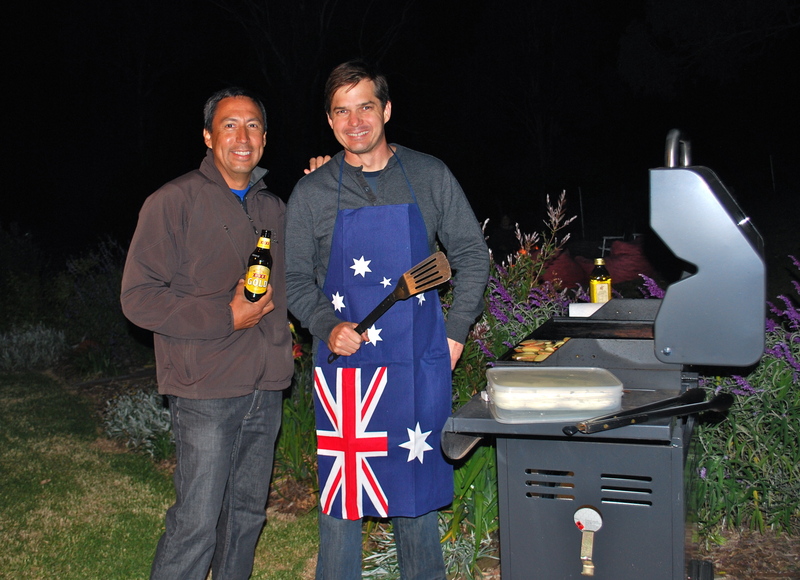 Our Aussie grillmaster – Steve, yes another Steve! To fall in love with a place is such an amazing feeling. Australia just had a sense of calm about it that we all embraced. We loved our time in the salty air at the beach and just as much enjoyed the Hinterland as they call their countryside and mountainous regions. 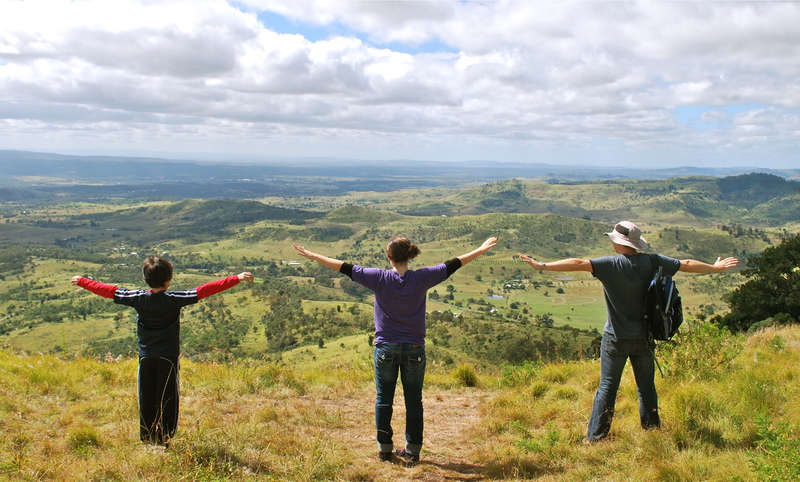 I had never heard of Toowoomba, Australia before I arrived here but we had communicated with another travelling family that finished their year in January and they were from Toowoomba (www.fourdotsonthemap.com). Karina had mentioned in an email – stop by if you’d like. Well that was her first mistake. We went and spent 2 fabulous nights at their house. They have two boys, Harris who is Keegan’s age and Patrick a few years younger. 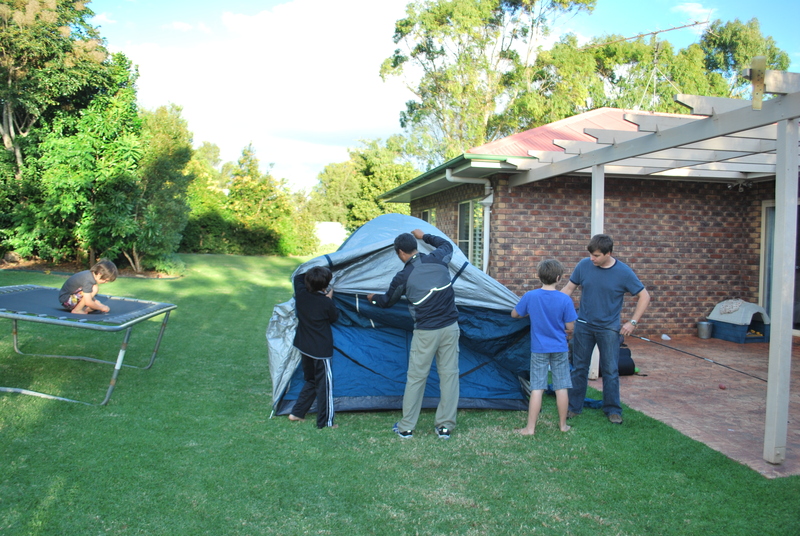 The three boys set up camp and slept in the back yard. We were given yet another example of the wonderful, giving people that live on our planet. We couldn’t have asked for more gracious hosts. 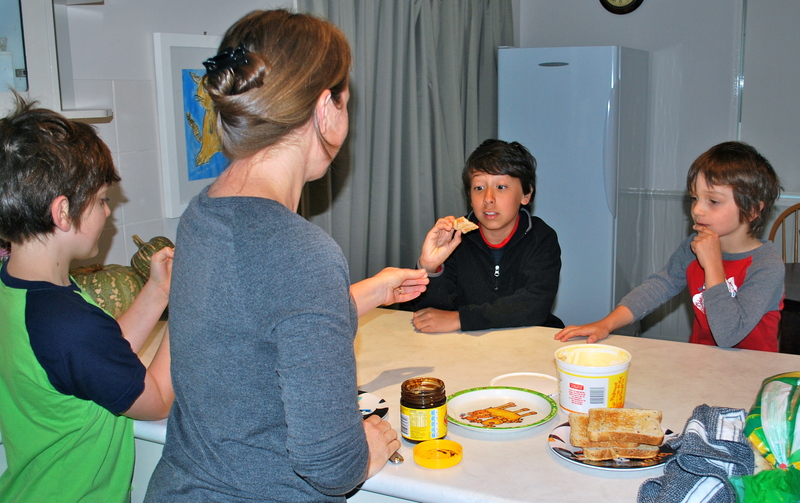 Keegan trying the famous “Vegemite”, it was actually pretty good, the secret is to apply a thin layer don’t pile it on. You can sing this next sentence, I know you want to — “and they gave me a Vegemite sandwich”!! 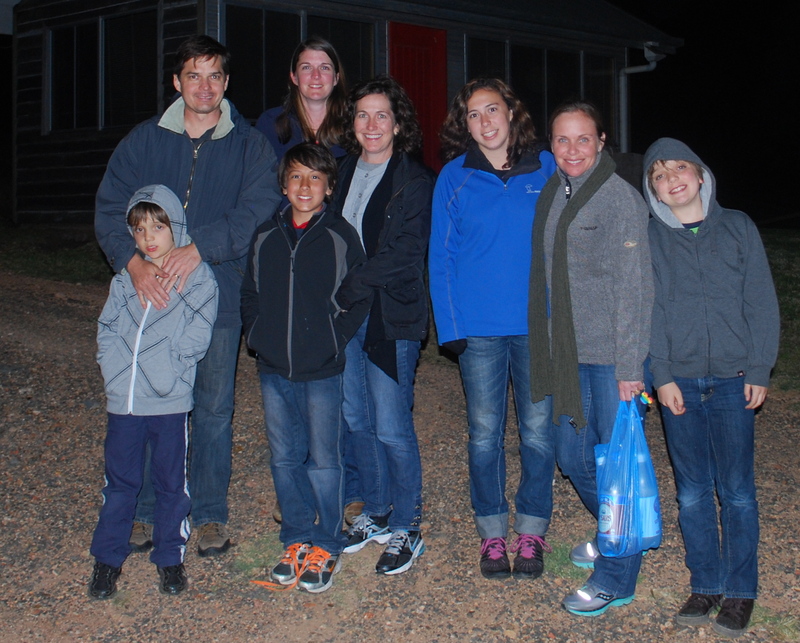 Toowoomba is inland and we travelled about 2 hours from our refreshing salt air to meet our new friends. As you head away from the coast the roads get curvy and you feel yourself getting higher above sea level. The town sits up high in a beautiful mass of green. It is fall here in Australia so the nights are cool and the days have been perfect. We had a fabulous visit with our new friends and had a lot of laughs sharing our different adventures . . . what incredible people! 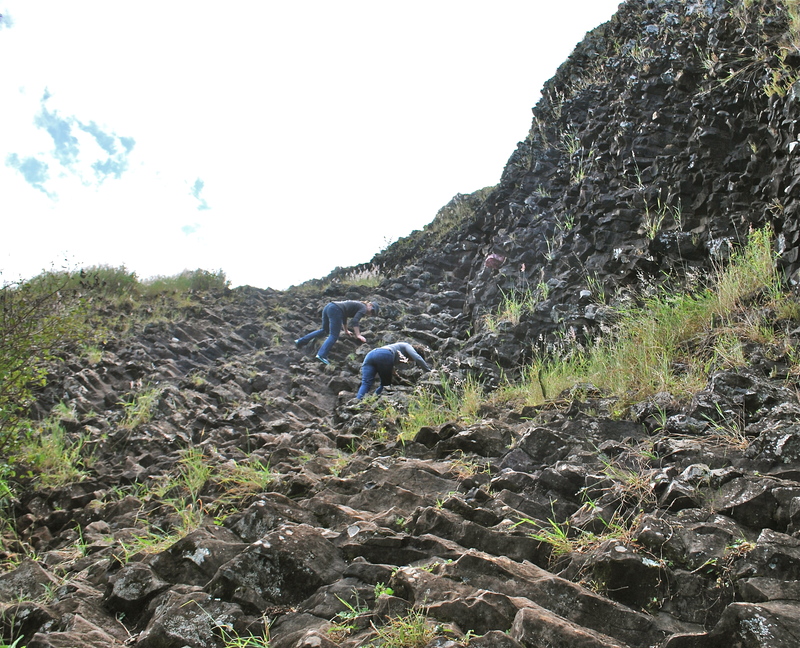 We hiked a mountain near their home called Tabletop Mountain. It was a great way to spend the day. We had an “official” Australian Barbie at their friend’s house. She lives on 25 acres where she has a few Alpacas and they were sure we would see wallabies and kangaroos there as well as possibly koalas. It was a beautiful evening of eating, drinking and enjoying a campfire. Some of us saw wallabies some saw a kangaroo and some of us heard koalas. We learned that they make a grunting noise and sure enough after it was dark we heard it. 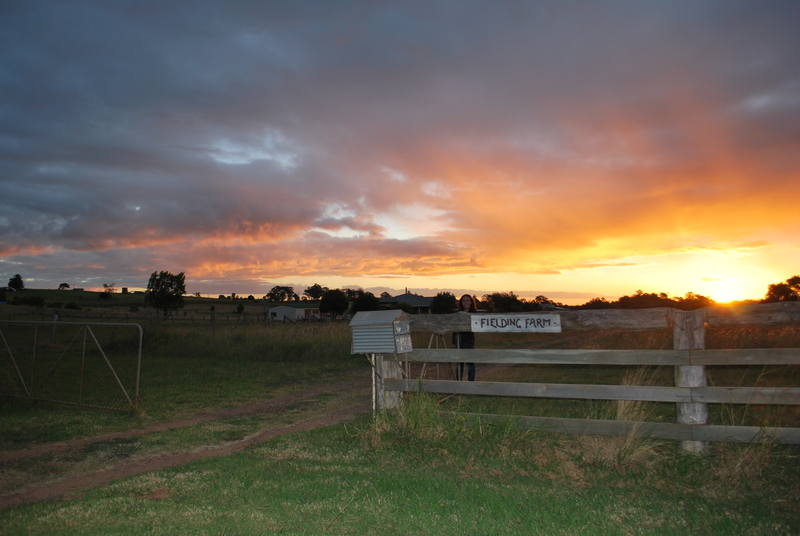 Out of the many beautiful things that stick out in Australia one of the most powerful is the evening sky – the stars are like we have never seen before. To see the night sky lit up by stars is something that will stay with us forever. That night at the barbie ended perfectly with a viewing a few shooting stars – magical Australia. Such joy watching this blog. From climbing to calm to enjoying new friends. What a blessing this trip is. The amazing experiences keep on rolling!!! Gracias Amigos! Thanks for hanging out with us in Toowoomba. I’ve managed to keep the cyclamen alive and I’m about to repot it into a lovley new pot so it can sit in the kitchen. I think of you guys every time I look at it. Hugs to you all.